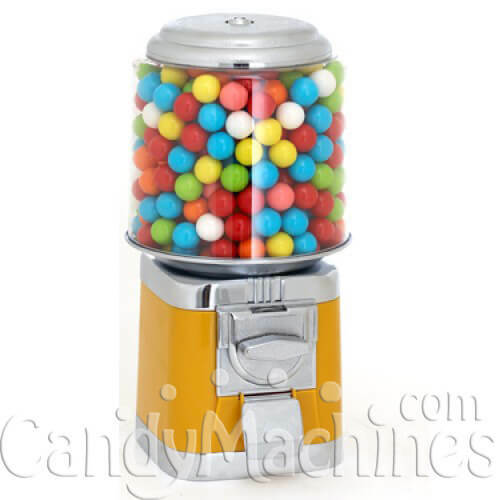 Our classic ProVend Barrel Candy and Gumball Machine is one of the original machines we offered. 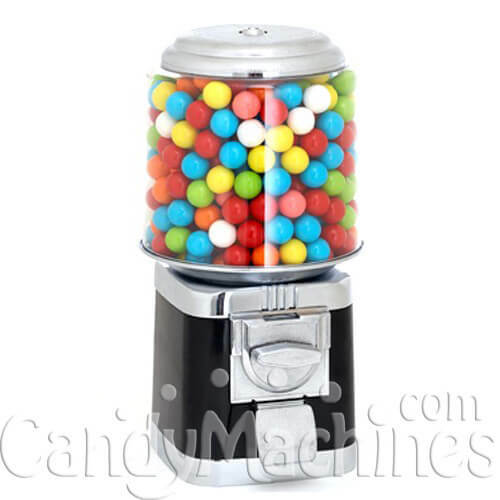 This machine features adjustable candy and gumball wheels allowing you to vend candy, nuts, gumballs, bouncy balls, toy capsules, and even animal feed. The ProVend Barrel can easily be mounted to any of our universal vending racks or stands. You may see a similar machine marketed by other sellers. 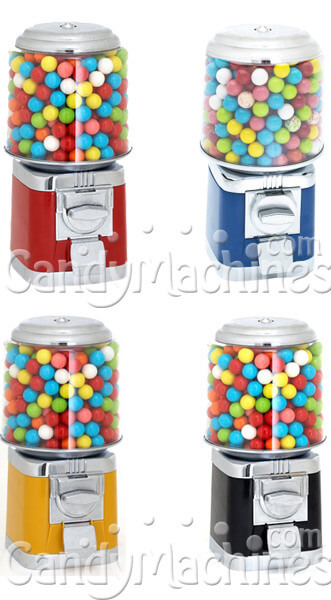 Understand the CandyMachines.com difference before purchasing. What is the difference? 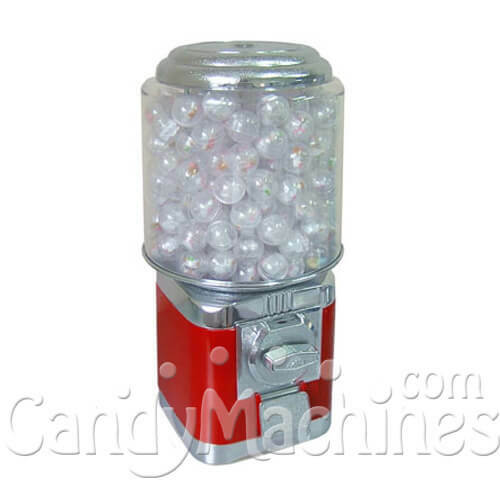 It's simple, CandyMachines.com offers an Exclusive Extended Warranty (see below). In addition, we combine our machines with our exclusive heavy duty cast iron stands and steel racks. Understand the difference and don't be fooled by a picture that looks similar. 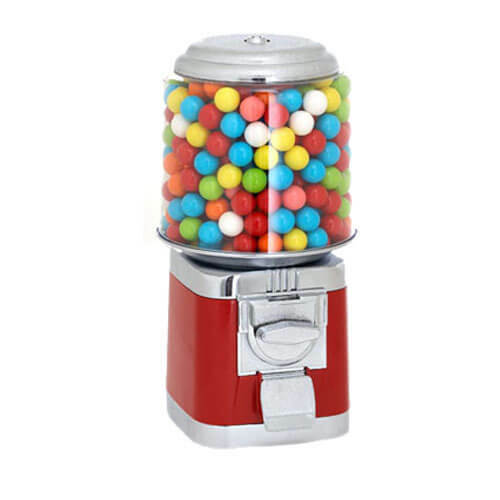 Your choice of adjustable bulk candy wheel or 1-inch (2.54 cm) gumball/capsule wheel. Click Here to see the difference between a candy wheel and gumball wheel. Our CandyMachines.com Exclusive Warranty covers all moving parts against MFG defects for 1-year. The coin mechanism is covered for two years with our replacement guarantee. This is beyond the MFG warranty and is exclusive to CandyMachines.com customers. Replacement parts easily available. Warranted against manufacturer defects under normal working conditions and ordinary wear and tear for up to one year. Can be mounted on a countertop, stand, or rack. This machine turned out to be a great investment to have at our little flea market stand. It's great for impulse buy, and an attention getter. I was shocked at how many people wanted to purchase the machine itself, though that was not my intention. from Rock Hill, SC Excellent Customer Service!! 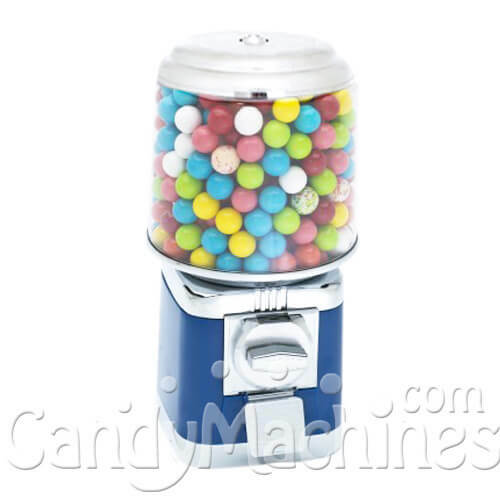 I ordered a candy machine for my company. Although the initial body color I ordered was on back-order, Candy Machines were quick to let me know and come to a solution! Machine was easy to put together. My only suggestion would be to include the video link to the candy wheel adjustment for the amount of candy dispensed, but other than that everything has been fantastic! !Very happy with machine!!! I bought this for my office more as a decoration than a money maker, but I have been pleasantly surprised by how much money it has been making me!